Insiders and Outsiders celebrates the work of Alan Cairns, one of the most influential Canadian social scientists of the contemporary period. Few scholars have helped shape so many key debates in such a wide range of topics in Canadian politics, from the electoral system and federalism, to constitutional and Charter politics, to questions of Aboriginal citizenship. This volume contains engaging and critical analyses of Cairns’ contributions by a diverse group of scholars — political scientists, legal scholars, historians, and policymakers, many of them leaders in their own fields. It includes assessments of his role as a public intellectual, his interpretation of Canada’s electoral system, his views on federalism and on Canadian unity, his approach to Aboriginal/non-Aboriginal relations, and his writings on citizenship and diversity. The book will be of particular interest to students and scholars of Canadian politics, history, and society, especially those examining ssues such as the Charter of Rights, Aboriginal politics, federalism, multiculturalism, political institutions, and political change. It should also be of interest to a larger public that follows the Canadian political scene, and that shares Cairns’ concerns with broad questions of citizenship, diversity, and national unity. 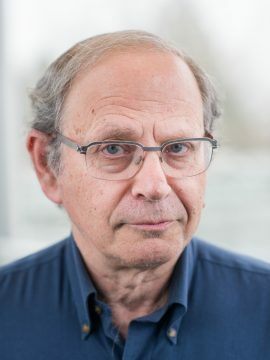 Philip Resnick is Professor Emeritus in the Department of Political Science at the University of British Columbia. Gerald Kernerman is Associate Professor in the Department of Political Science at York University.